On cresting the hill that we'd run up earlier I was greeted by the most wonderful sight and sound. It was events Draft Busting team who were to my surprise cheering me on. This team now has Firdaus as it's "Headmaster" and the wonderful Farina as his "Headmistress" and I'm real proud to have played a small part with my Live More Events business at helping their team become the professional and dedicated team that they clearly now are. They looked intimidating and intent to ensure that the "playground" is kept clean and tidy (just like I'd taught them) but because they are all lovely people at heart they still found time to not only recognise me but to give a really rousing roar. I know that despite being really focused on my task ahead as I went past them tucked into my aero position, thanks to their cheers, I had a massive cheesy grin on which I'd like to thank you all for here. 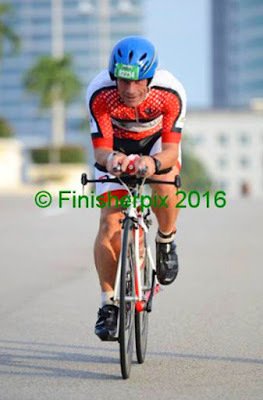 Ever since rediscovering cycling back in 2007/8 when I first started doing the Powerman Duathlon the strongest feeling I have whenever I get on my bike is the feeling of freedom that it gives me. I believe this comes from the fact that after being imprisoned by my parents in a pram, then a pushchair and finally the reins that my loving parents put me in as a toddler to protect me from myself. I was then fortunate enough that they then had the good sense to buy me a bike. No it's not a photo of me with hair! 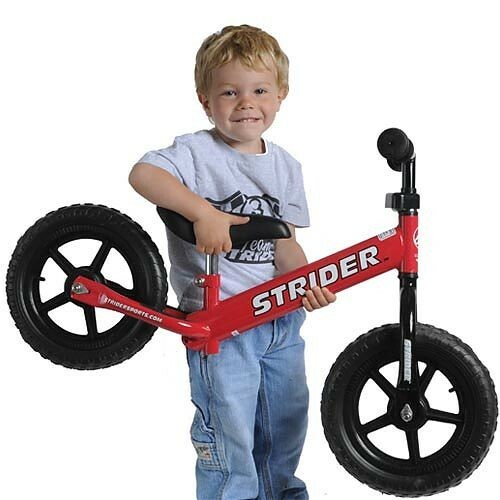 Like this young Lad, I can still recall vividly the excitement that this new toy gave me. As with it came the means of being independent of my parents and of being able to get around without their help. This sense of joy is ingrained in me still to this day and is I believe why biking is going through a real renaissance at the moment as more and more people rediscover this sense of freedom together with the healthy reasons for cycling. Despite being blessed with the good fortune (rather than large one) of owning both a car and a motorbike. Jumping on to my bike beats both of these other forms of transport any day in terms of the sense of joy that I get from this means of transport. This feeling of joyfulness was how I felt as I set of in pursuit of joy of Mohamad Haziq who, thanks to the speed of the bike, was now perhaps 250-300 metres ahead of me. I have to confess here that this gap did not concern me in the slightest as I wasn't racing him was I? OK, I confess I was starting to feel that I was now in the race and racing. However, having not ridden "Georgina" my TT bike since Ironman last year (November) I had taken her out on the Thursday morning ride earlier in the week before this race. This ride is with a few guys that I try to ride with reasonably regularly when I'm in Ipoh. The reason I like to do this is that they love to ride fast and push each other and on that day I seriously "smashed" it as they say thanks to the straight-line and downhill speed that Georgina has. As I descended the U Turn ramp shortly after what was about the 3km mark of the bike course I swept wide past him and from there on, I was on and in a world of my own pretty much. As throughout the ride I just kept what I felt was the required heart rate based on the sense of breathlessness that I know I should be experiencing. Admittedly, this spiked a few times as I excitedly over did it a bit on the downhills but when this happened good old Captain Sensible was around to self regulate the impetuous youth. 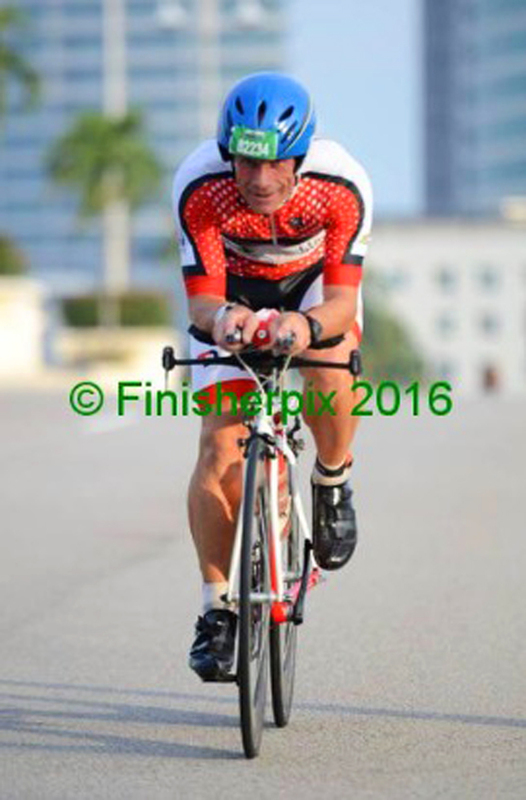 All this while, a handful of riders passed me who looked like the tail-end of the Pro Racers and the head of the elite Age Group field for the 70.3 as their swim would have taken a tadge longer than my run. Pleasingly they did not pass me like I was standing still though and I continued somewhat reassured at my steady pace. In fact, thanks to my love of the hills, and my MTB training regime that I am doing mostly now. I actually found myself catching and overtaking some of these riders on the hillier sections of the course. As they were backing off on their power which was clearly part of their plan and I could hold mine without spiking my heart rate. Approaching the end of the lap a large pack of riders (a legal one for the majority of the time I saw them, and for all of the time that one of Firdaus's Marshal's was eyeballing them) went past me and within this group was young Barry Lee one of Malaysia's best Triathlete's, a Kona Qualifier and now an XTERRA Professional. It was great to see Barry as he's always been a lovely young man and a talented, big-hearted Athlete that I've admired for a long time. Having now done a few XTERRA's with him he's also become a great Mate as well. Initially when he saw me he was visibly shocked. He knows that my swim is not in the same league as his and despite this he clearly thought I was doing the 70.3 and had come out of the water ahead of him. The double take he did as I said a few words of encouragement to him, almost made him fall of his bike. I quickly settled his nerves though that he was NOT having a bad day by mouthing the words "Duathlon" to him and with that we exchanged a wink, a wave and a good wish for each others respective race. 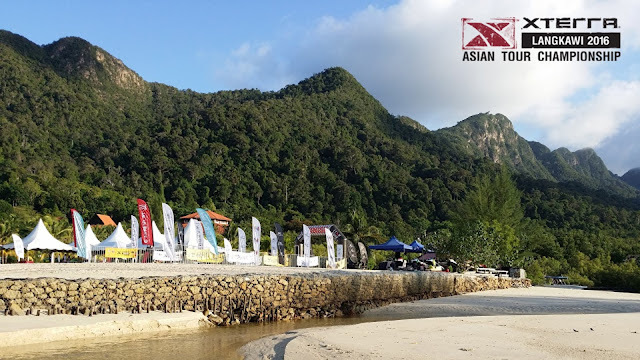 I was pleased to see that he finished top Malaysian again and I hope that he'll do the same when I next see him in Langkawi at the XTERRA Asia Pacific Tour Championship. Soon after this little social interaction with Barry on an otherwise very businesslike bike ride I found myself approaching the dismount line shortly after these other riders had U Turned to go and complete their second lap. Yes that's right absolutely nothing and no one! Well to be accurate a completely empty transition and whilst some of you who are reading this might dream of leading a huge event and being the next Craig Alexander let me tell you now that being the 1st rider back into a transition area built for 1,500 Triathletes/Duathletes is terrifying. As I reflect back like most terrifying moments it's actually really funny as well. Firstly, I sensed that both the crowd of supporters and the volunteers were in a bit of a panic to start with and were flapping around thinking the man himself (Craig Alexander) or some other Pro was back in T2 already. In fairness to them, we were as I said before, just a "side show" and most people would not have known that there was a Duathlon even happening. Secondly, as I came down the shoot and entered the mass of racks which were obviously all empty for what I'm sure will be the first and only time ever as the lead rider, I was struck with the same sort of disorientation that I am renowned for in Shopping Mall's and, in particular, their underground car parking facilities. Namely, I'd completely forgotten where I'd "parked" my runners!! "OK, OK, relak lah, Duathlete only mah!" Also, my own sense of amnesia dissipated almost as quickly as it arrived when I caught a glimpse of the luminous green runners that I'd deliberately positioned side by side and with a water bottle a full shoes length into the carpeted runway so that they'd jut out and stand out to protect me from a unexpected and sudden case of senile dementia as to where my racking space was. To add to the amusement the rather portly cameraman who'd chased after me down the runway as I was running in and who had been sticking his camera in my face and almost in-between my toes as I was putting my runners on also visibly relaxed and wandered off nonchalantly before I'd completed my transition, making out that he'd been doing a practice run to check camera angles for when the real leader arrived. 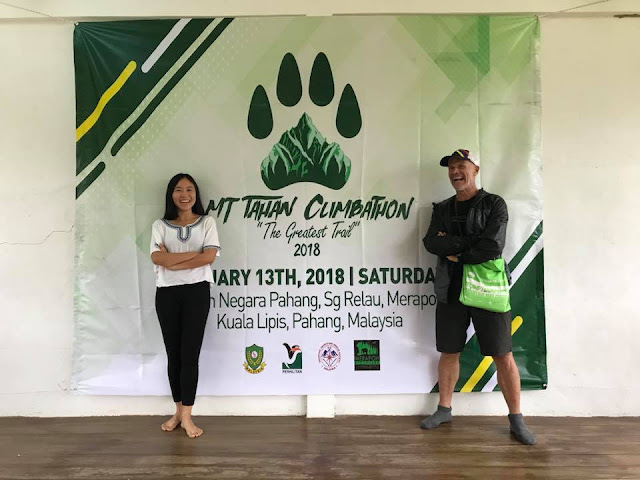 The Mount Tahan Climbathon, 13 January 2018... I cannot Tahan!